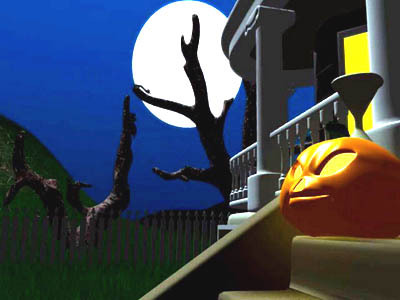 Dark Halloween Night is a 3D scenes screensaver devoted to the Halloween holiday. The place you will be able to watch in this screensaver is very dark and unpleasant, that is why people never come here. You will get witches, phantoms, vampires which are trying to find a thing was lost on the last Halloween. This scary Halloween screensaver will certainly meet your expectations!